Timer pulleys are designed with an millimetre based pitch designation. It is used in power transmission systems where maintenance of speed ratio is an important design consideration. We are one of the most reputed manufacturer and supplier of precision engineering equipments. 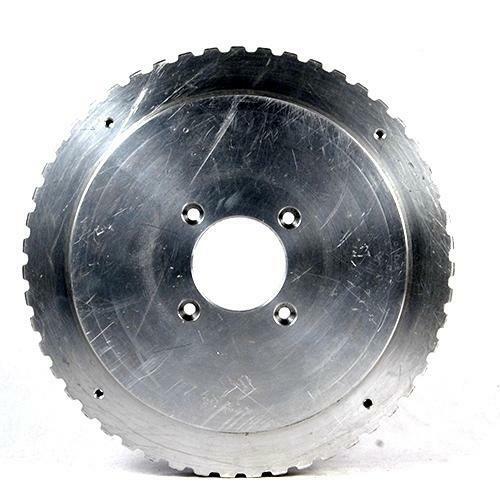 Our wide range of products includes Gears, Shafts, Pulleys, Wheels, Racks & Pinions. We are professionally managed organization and are one of the most preferred supplier of precision engineering equipments. We as a team are always dedicated and committed to offer products that exceed customer expectations at all levels. With state-of-the-art infrastructure at Bangalore, Karnataka we make use of the latest machines and technology to ensure quality production. Our flexibility in custom order manufacturing, quality products, competent pricing and ethical business practice makes us a preferred name.